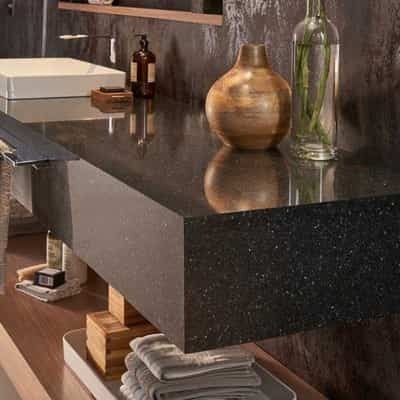 HanStone Quartz offers the natural beauty of quartz with up to six times the strength and durability of granite. More than 90% of HanStone Quartz is mined quartz crystals, one of nature’s hardest materials, ranking a 7 out of 10 on the Mohs Hardness scale. The quartz is combined with polyester resins and pigments to create the look of natural stone without the high maintenance. There’s no need for sealing, conditioning and polishing. HanStone Quartz is scratch and stain resistant and its nonporous nature makes it an ideal surface for residential or commercial applications. 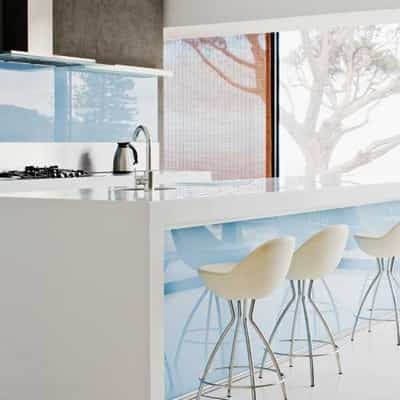 Hanex is an ideal material for residential and commercial applications because of its beauty, durability, aesthetics, design flexibility, color choices, and more. Hanex® products are nonporous and NSF 51 Certified for Food Preparation areas. They can be applied in many applications where sanitation is of utmost importance, such as Kitchen Countertops, Hospitals, Playrooms, Schools, and much more. Hanwha Surfaces’ exclusive manufacturing process uses high-tech equipment and materials, so Hanex’s’ next-generation products are meticulously crafted to withstand even the most rigorous treatment.